The Golden Temple located in Amritsar, is one of the most revered spiritual sites of Sikhism in the world. 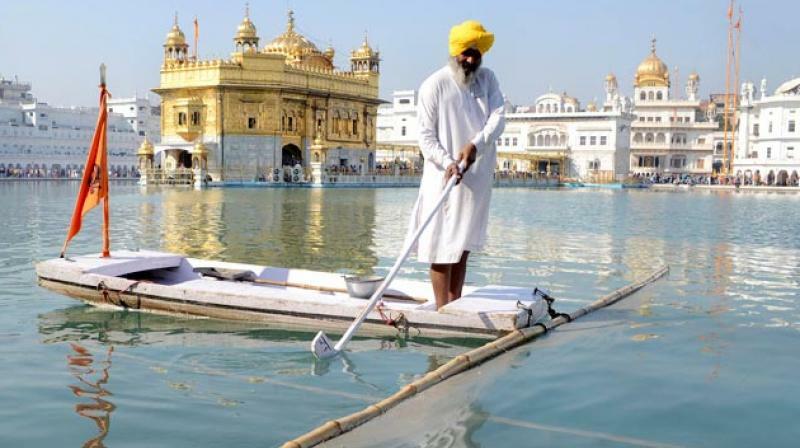 New Delhi/London: A top UK diplomat has called one of India's holiest places, the Golden Temple, a mosque following which he apologised for the gaffe amid protests by the Sikh community. Simon McDonald, Permanent Under-Secretary, Foreign & Commonwealth Office, referred to the Golden Temple in Amritsar as the "Golden Mosque" in a tweet on Monday. "At Queen's Birthday party, presented with picture of The Queen at Golden Mosque in Amritsar in 1997, a permanent memento for Deputy High Commission's wall," he tweeted. On realising his mistake, he apologised for the gaffe. The Foreign Office top diplomat said this morning: "I was wrong: I am sorry. I should of course have said the Golden Temple or, better, Sri Harmandir Sahib". However, Bhai Amrik Singh, the chairman of the Sikh Federation, said: "This was a major gaffe by a top civil servant and totally unacceptable. It demonstrates a remarkable level of ignorance from someone in his position". "In our view, a public apology and admitting the mistake is not enough. What we need is a commitment from the UK government and senior civil servants to root out such ignorance and discrimination or we will continue to face hate, abuse and threats of violence," he was quoted as saying by The Guardian. The Golden Temple also known as Sri Harmandir Sahib, located in the city of Amritsar, is one of the most revered spiritual sites of Sikhism in the world. The gaffe comes as Labour Party leader Jeremy Corbyn vowed to launch an independent inquiry into Britain's military role in the Indian army's 1984 raid on the Golden Temple in Amritsar under his party's government The Labour leader promised that an investigation into the attack, which is said to have left thousands of people dead, would be in the party's next manifesto.